Three decades ago, when Parathon by JDA eHealth Systems entered the healthcare arena, their only focus was to improve financial performance, streamline operations, and increase patient engagement. Since then Healthcare has experienced many changes with the last decade being dominated by the proliferation of the Electronic Medical Record (EMR). As EMR adoption matures, the return on investment in expensive EMR technology is proving to be very elusive, forcing providers to seek financial efficiencies, new revenue, and profitability. 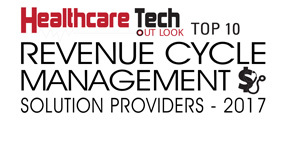 The revenue cycle management (RCM) functionality in current EMR technology has lagged far behind clinical development. Enter Parathon. Based on a proprietary first-to-market Parallel Database (PDB), Parathon transforms the entire patient accounting system of legacy Healthcare Information Systems (HIS) into a solitary enterprise platform utilizing state of the art cloud-based technology. Parathon has stood firm in engineering solutions that support providers through every step of the RCM continuum and has emerged as the de-facto standard “one-stop” RCM solution “The Parathon edge is the quality, quantity, and depth of our Intellectual Property, and our singular focus on RCM,” says James Dudley, CEO, Parathon. Using their PDB, Parathon gains complete control of the legacy patient accounting system and performs many valuable services without being constrained by the EMR deficiencies in revenue cycle. Two features that set Parathon apart from all other RCM systems are the PDB, which combines legacy patient financial data across all disparate systems into a single enterprise platform, and an incomparable contract management system that is the most robust in the industry. Workflows and accounts receivable follow-up are streamlined by the enterprise PDB. But the “life blood” of all providers flows through their contracts with Third Party Payers (TPPs), and Parathon’s “3 Pillars of Contract Management”—Modeling, CDM Price Sensitivity Optimization, and daily payment compliance—empower providers to receive the contractual revenue they have earned. Dudley cites an instance where Parathon benefited a client in modeling a contract renewal proposal. The proposal claimed a seven percent increase in reimbursement. After modeling the proposal Parathon showed that, in reality, it reduced the reimbursement by one percent. The payer acquiesced and agreed to terms yielding the seven percent increase. This accounted for $4,500,000 in revenue, which the client would have forfeited without Parathon’s sophisticated contract modeling. Seamlessly integrated into Parathon are “bolt-on” functions like Claims Clearing and Statusing, eligibility, Patient Responsibility Estimator, and Work-lists that assist hospitals in controlling the entire RCM platform. Having all this functionality in a single interface dramatically reduces costs and increases efficiency for providers who have long suffered the expense and friction of trying to integrate many divergent boltons from multiple vendors. As per Dudley, the team is working to maintain Parathon as the preeminent healthcare RCM system, and expects significant growth over the next few years as the healthcare market continues to embrace the Parathon model. While Parathon continues to enhance its product, their principal focus in the coming years will be on claims/contract management. The aim is to develop a national claims adjudication processor that would allow any provider to adjudicate their claims via the Parathon Cloud, with little implementation effort and cost. With the power and robustness of Parathon, Dudley envisions an opportunity to partner with the large pervasive cloud operators like Amazon, Oracle, and Microsoft in modernizing the antiquated Medicare claims processing system for adjudication and other claims processes like statusing. “It sure is a tall order, but Parathon is the only company capable of such an initiative under one roof,” concludes Dudley.